Sciennes Class of 2008: Save the Date, P7, for an Official Welcome Back! Our new playground will be a community facility, so will be open to our P7 pupils even when they are at secondary school, but we would like to invite them all to come back and celebrate our new playground improvements with us at a special 'welcome back' event on Friday 28th August at 1pm. We want to say thank you and recognise all your fundraising efforts that have helped to make this project a lasting legacy of your time at Sciennes. 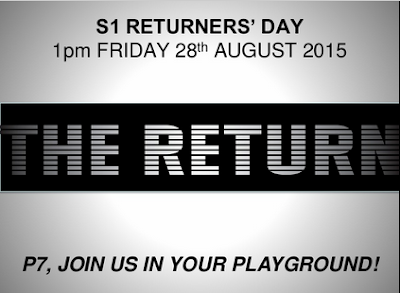 Hope to see you there and hear all your news, soon-to-be S1!